The Wallings Nature Reserve, known for its picturesque views iconic photo ops and the rustic water tower is undergoing a stunning transformation. It is becoming one of the premier attractions in Antigua and Barbuda and the only community managed National Park in the twin island state. The Reserve is being used as an international case study to garner the impact that a community can have on making a difference in Climate Change while promoting Gender Equality. Amenities such as bathrooms, a gift shop and museum as well as restoration of the Barbeque pits are just a few of the plans the team at Wallings are working on to give visitors the best experience possible. 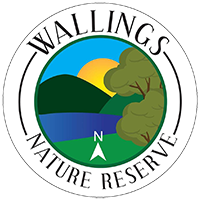 To showcase the progress made so far and to promote our specialized Hikes, we will be launching a Digital Multimedia Magazine which will feature articles on the history of the Wallings Area along with Video, Photo and Audio content. A Digital, interactive Publication is not only eco-friendly but will also allow the publication to be shared with a wider audience. All ads will include a website or social media link to the advertisers content where applicable.